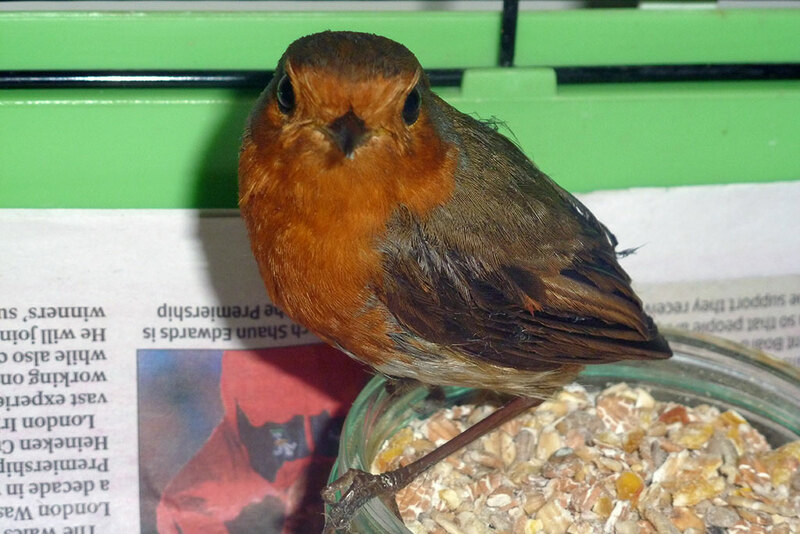 One of WRAS's aims is to help educate people about wildlife welfare and rescue work. To this end WRAS is developing resources which can be used by schools, colleges and for those studying animal welfare. For further information on school and college visits, please see the 'Talks and Presentations' section of the website. East Sussex WRAS is working alongside the Animal Careers College to improve animal welfare. WRAS takes on work placement students from local schools and colleges including Plumpton College, Hadlow College, Animal Jobs Direct, the University of Kent and others. Students are expected to work either one day a week for a minimum of 6 months (or as required per their course instructions) or as a block placement of Monday to Friday for 1-2 weeks. Student working hours start at 10am and finish at 6pm and include an hours lunch break. Working during the day allows students to experience and become involved with a wider range of activities carried out at the centre. Although anyone is invited to apply for work experience, and will hopefully experience a range of activities during their placement, priority for animal related tasks will be given to students who already volunteer with WRAS and those paying to attend as an advance work placement through Animal Jobs Direct. Students can expect to get hands on and gain experience in handling various wildlife casualties, learn about and help with the routine feeding and cleaning of wildlife, learn about some of the common injuries and illnesses which cause casualties to be admitted into care, assist with some rescues as well as following WRAS's care team in their daily duties such as crop feeding, microscope work and basic animal treatments. Depending on the time of year during which the placement is completed, students will also gain experience with seasonal activities such as orphan rearing during spring/summer or learning about hedgehog hibernation issues and overwintering during autumn/winter. 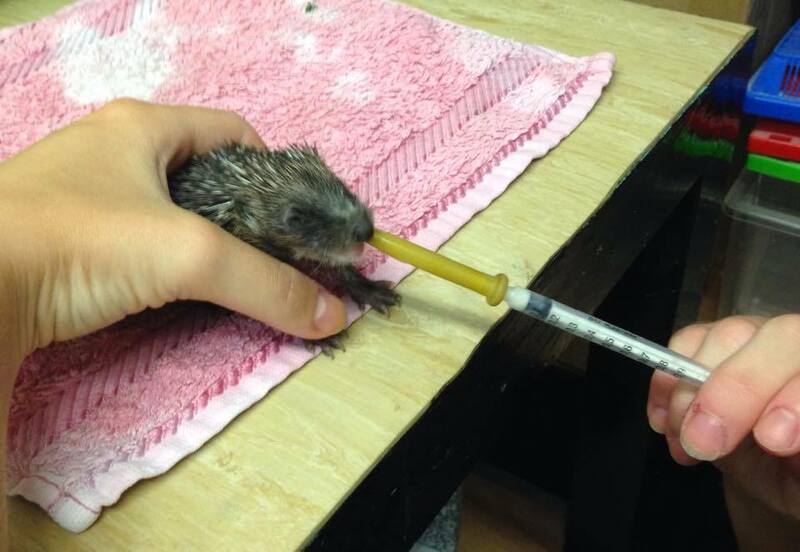 A baby hedgehog enjoying being fed by the orphan rearing team! All students will be supplied with a training document to support their placement which contains a lot of the theory and information behind the practical work that is completed, it will also offer further insight in to wildlife rescue and rehabilitation. Work experience is also open to those that are not studying at school / college and are over the age of 16, those under 16 can only complete work experience through their school in order to be covered by their insurance. You will need a vehicle to get you to our centre or alternatively you can catch the No. 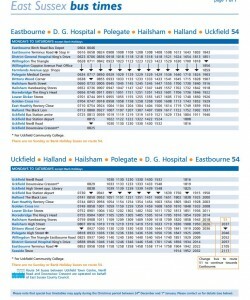 54 bus which runs along the A22 from Uckfield to Eastbourne. Please be aware that buses do not run on a Sunday to our Centre. 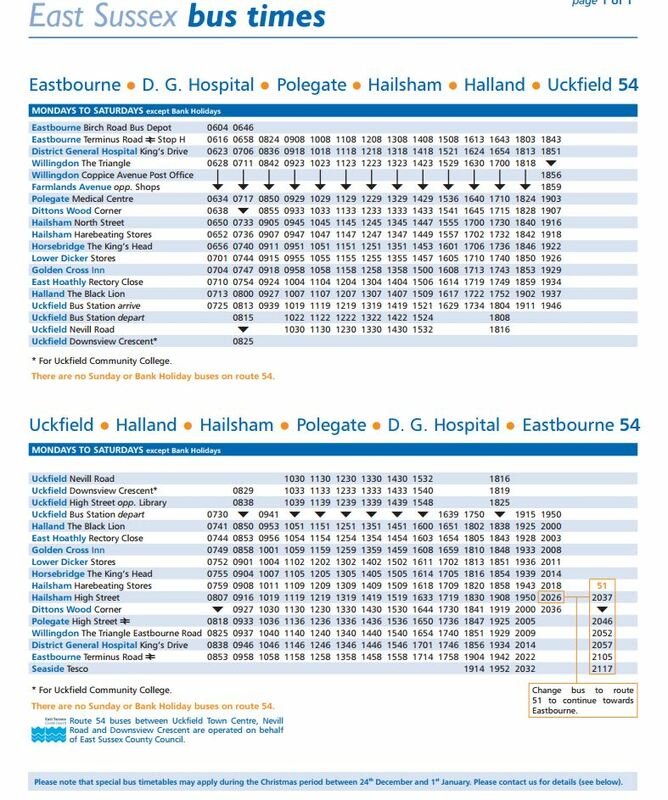 To check for the latest timetable please visit the Stagecoach website by clicking here. This is a general PowerPoint presentation, using picture and video, approximately one hour. The majority of the presentation is taken up by showing some of the casualties WRAS deals with and the situations which WRAS finds itself being called to, but it also gives some background on the charity, how it started, as well as how the organisation is run and funded. This presentation does not show any graphic images. This presentation is updated at least twice a year to ensure that photos and videos are up to date. This presentation has been used for adult groups but also for scouts and other young people. This presentation does not down any graphic images. Designed for Schools and community groups. This is a basic presentation aimed at 7-11 year olds which lasts 30 minutes with time for questions. 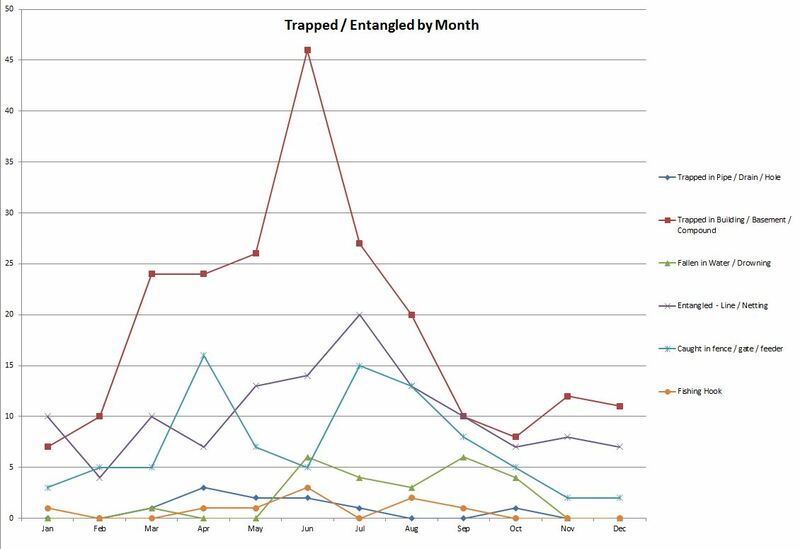 It covers issue like, the difference between Wildlife and Pets, process of a rescue, number of call-outs, video clips or our ambulances and around our hospital, asks questions like "What are the most common animals rescued?" 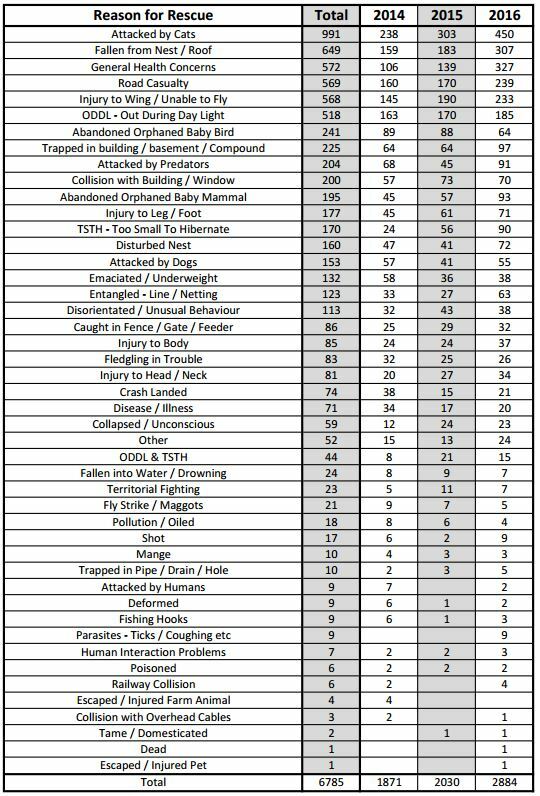 and The main causes of wildlife casualties. 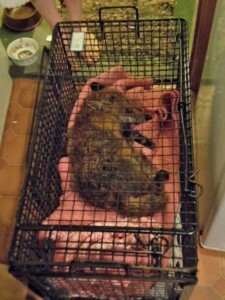 It shows examples of some rescues including a deer and fox cubs. Children are shown a couple of items of equipment and asked to guess what they are used for. 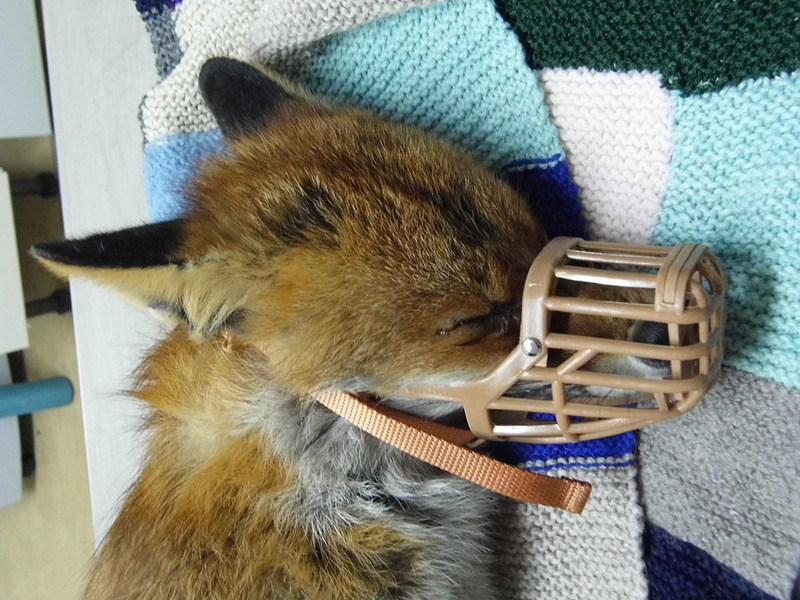 It also covers what to do if you are concerned about a sick, injured or orphaned wild animal or bird. The presentation encourages respect for wildlife and to avoid domestication of wildlife. This new talk has been used at Haven Primary School in Eastbourne. WRAS is able to attend primary and secondary schools and undertake an assembly (either the "What is Wildlife Rescue" Presentation for primary or "Work of the Wildlife Rescue" for Secondary Schools) followed by a tour of one of WRAS's main ambulances looking at the equipment carried and what it is used for and then being allowed to look round WRAS's educational trailer. This has been done at Forest Row Primary School, Alfriston Primary School and via Eastbourne Borough Council at Princes Park for St Anthony's School. 30-60 minutes talks/assembly cost £60. 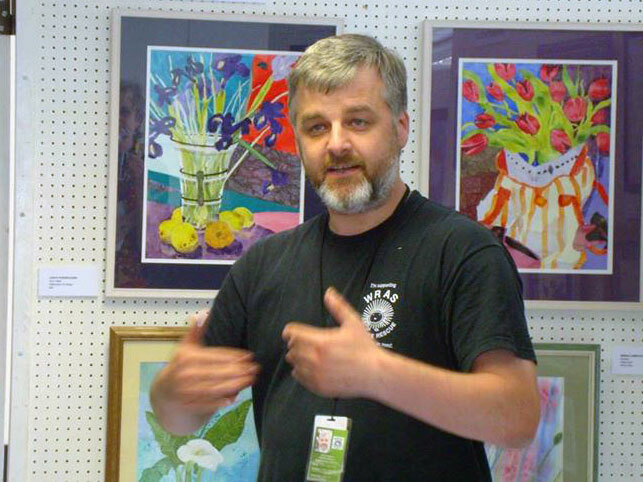 3 Hour Sessions: We ask for a minimum donation of £100 this can either be a talk or multiple talks or an assembly, ambulance tour and educational trailer - over approximately 3 hours - i.e. covering 9am till 12 noon or 1pm till 4pm. Travel & Accommodation: In addition to the above - for talks booked outside of East Sussex will also require travel expenses (and cheap accommodation depending of distance and start time). After hearing their dog making a commotion in the garden, the finders went outside to find the dog pawing at a hedgehog and barking at the hedgehogs which was now curled up in a ball on the grass. The finder took their dog inside and left the hedgehog out in the garden to wander off. The following day the dog discovered the hedgehog again and the finder moved the hedgehog to some bushes at the end of the garden. A couple of days later their dog again discovered the hedgehog but they noticed an odd smell and were unsure what to do so decided to call for help. The finder was asked to look over the hedgehog for any signs of blood or injury. The only observations the finder had was that there was some crusting on the back of the hedgehog which smelt. The finder was asked to carefully pick up the hedgehog using a towel or old t-shirt and place the hedgehog in a box or pet carrier and place somewhere dark but warm until the ambulance arrived. An ambulance was dispatched from our Casualty Centre and arrived on site approximately 15:50hrs. On site, rescuers found the hedgehog had been placed in a cardboard box. Rescuer Chris checked the hedgehog over, parting the spines across the back to investigate the smell of infection present. A crusty wound was noticed which seemed to be origin of the infection smell. It was difficult with the dog barking to assess the hedgehog properly so it was taken out to the ambulance for a better assessment. The hedgehog was encouraged to uncurl but the guard hairs were sensitive to touch causing the hedgehogs to curl up quickly. The gum colour was difficult to assess as the hedgehog would not uncurl fully. The hedgehog's abdominal skin temperature seemed normal despite the outdoor temperature being only a few degrees above freezing. The hedgehog's breathing appeared normal and calm. No there was no immediate threat to the hedgehogs life, so the casualty was taken to WRAS's Casualty Centre for a better assessment. The hedgehog was assessed by the Casualty Centre Manager. At first the hedgehog was encouraged to uncurl on a towel placed across the examination table but was sensitive to touch so given time to calm and relax. Both eyes were open and prominent. The nose was moist and nostrils clear. The jaw seem aligned and the general head shape was normal and no obvious signs of swelling. Head carriage was normal too. The ears, skin, spines and fur across the head and face seemed normal with no signs of mange nor ringworm. The hedgehog was noticed moving both front legs normally and no visible injuries or swelling were seen. The rear legs were more difficult to see so with patience the hedgehogs uncurled enough to walk across the examination table showing correct movement and control of both rear legs. The hedgehogs stomach was rounded and covered in a good covering of hair. It was noted that this hedgehog was male. No visible injuries were seen on the underside of the hedgehog. The hedgehog weighed 670 grams and generally rounded with no visible neck line or a concave waist line. The back of the hedgehog was checked thoroughly. An obvious crusted wound was found on the rear right quarter. No other obvious injuries could be seen. WRAS's vet was spoken to over the phone and under instruction Carprieve - an analgesic - was administered along with Noroclav - an antibiotic. Under instruction from WRAS's vet the spines around the wound were cut back to expose the wound, leading to the discovery of a second smaller puncture wound close by. The wound was flushed using a weak iodine wash. A loose scab was covering most of the wound and came off easily. The wound was infected, with substantial necrotic tissue around the edge of the wound. After further flushing and cleaning of the wound, some granulation tissue could be seen and some capillary bleeding started. It was noted that a hole appeared to be going under the skin tracking downwards to the skirt. There was concern as the iodine wash started appearing from around the skirt indicating possible further injuries. It was not possible to assess this possible third injury around the hedgehog's skirt, so WRAS's vet was contacted again and booked in for an assessment under anaesthetic. The hedgehog was bedded down in Casualty Room 1, in a small animal veterinary cage. Newspaper was placed across the floor of the cage. A fresh and clean cardboard box was used to create a hedgehog house which was filled with hand torn newspaper. A shallow bowl was filled with a third of a tin of meat in jelly cat food (non-fish variety) as well as Ark Hedgehog Biscuits and a small sprinkling of Ark Hedeghog Mix, and a shallow dish of water. 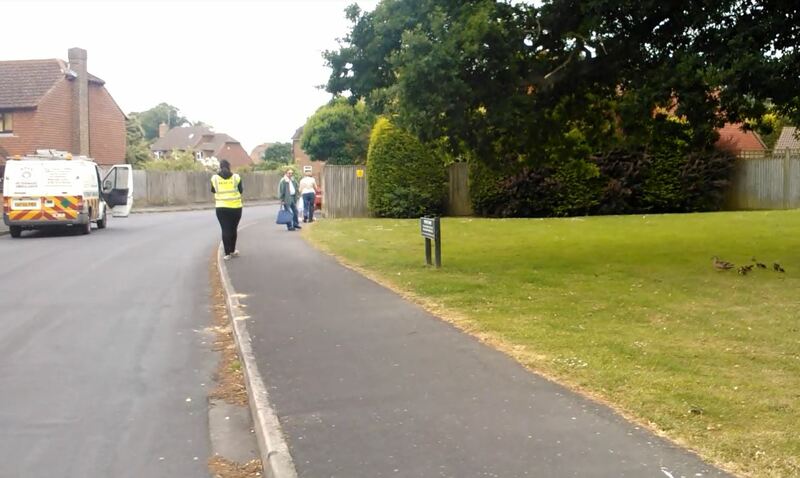 The hedgehog was taken to Henley House Vets in Uckfield for an appointment within a couple of hours. Vet James was briefed on the history of the casualty, treatment given and potential cause. The wound was assessed and agreed that assessment under anaesthetic would be the most suitable way forward, so the hedgehog was left at the vets. The Hedgehog was anaesthetised using a general anaesthetic. 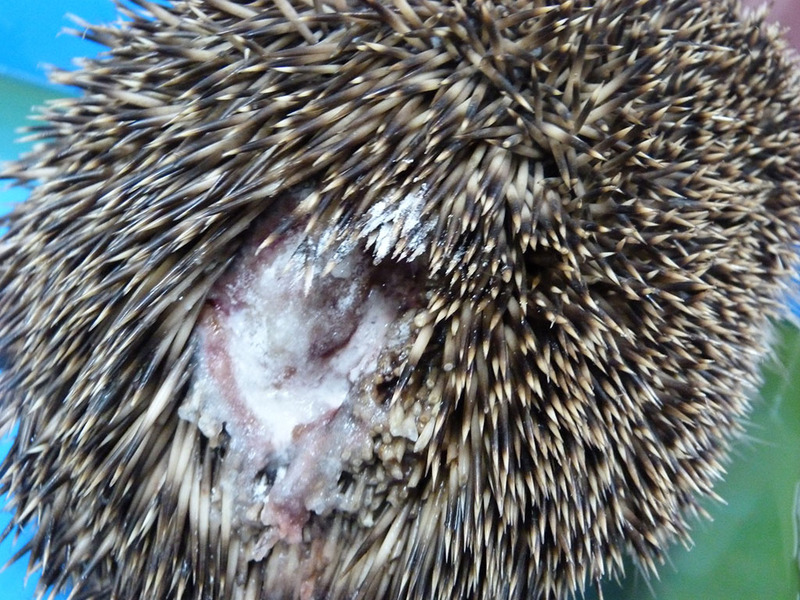 On assessment of the skirt of the hedgehog an infected wound was found tucked under the skirt. 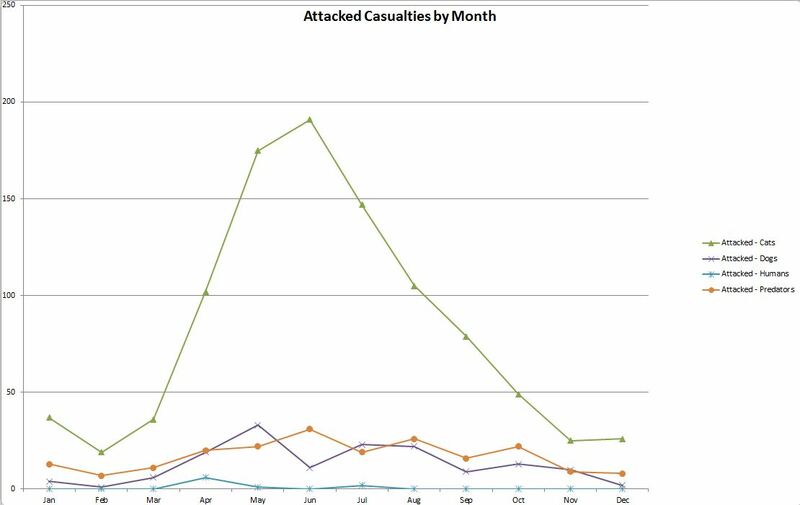 Infection tracked between the three wounds. All three wounds were thoroughly cleaned whilst the hedgehog was under anaesthetic. Due to the location of the wounds it was not possible to cover the wounds with any bandage so an anti-biotic powder was applied along with intra-site gel to block any further infection. The hedgehog was bedded down in a recovery cage and arranged to be collected and returned to WRAS. WRAS were given instructions to continue the Noroclav antibiotic and to give two more days of Carprieve analgesic and to give the hedgehog weak iodine baths to help clean the wounds and to flush the wounds daily and to apply anti-robe antibiotic powder mixed with intra-site gel applied to the wounds. The hedgehog was returned to its cage within the hospital and for the first 7 days the hedgehog was given a bath in a weak iodine wash encouraging the hedgehog to walk through the wash to self clean the lower wound which was difficult to clean by hand, as well as flushing the open wounds on the hedgehogs back. On day 8 the hedgehog returned to the vets to be anaesthetised so the lower wound could be checked to ensure it was staying clean. For days 9 to 16 on daily basis the hedgehog continued receiving baths and flushing the wounds. A 3cm wide section of dead tissue and spines finally came off on Day 12. 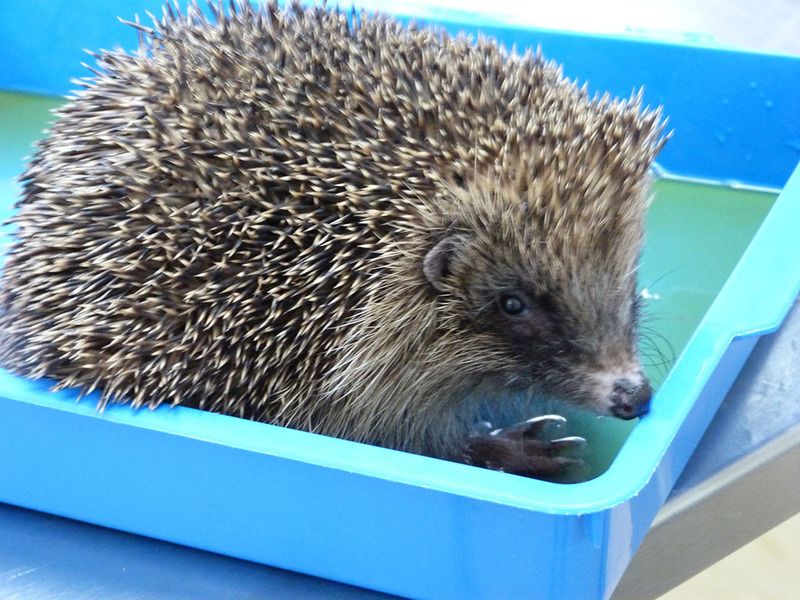 The hedgehog was booked in to see the vet again on Day 17 and washing and cleaning of the wound were then reduced down. By Day 21 there had been a significant amount of healing to the wound so cleaning stopped completely. The vet undertook a final assessment of the wound on Day 23 and gave the 'OK' to proceed with rehabilitation with a view to returned him back to the wild. 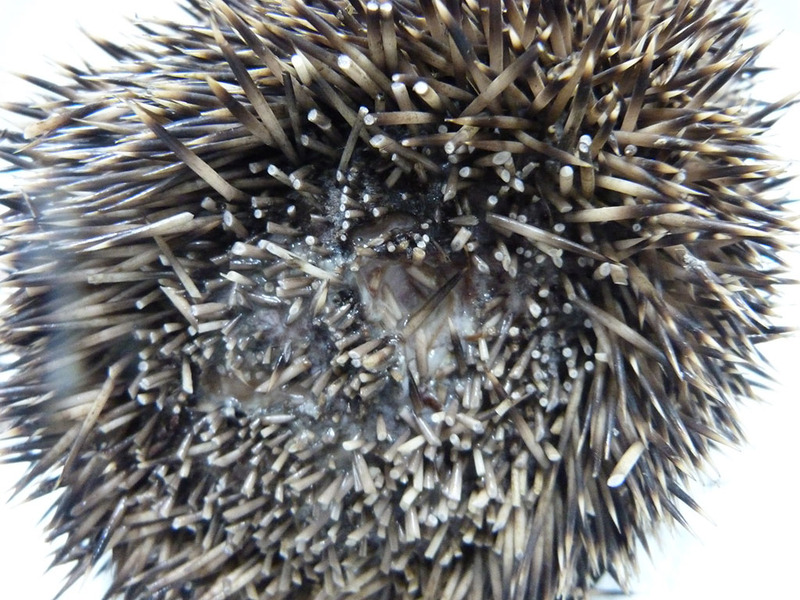 The hedgehog was micro-chipped to help with identification and post release monitoring. As it was winter, the hedgehogs was placed into WRAS's Cold Room to acclimatise to the colder temperatures prior to being groups up with four other male hedgehogs to see how well they interacted with each other. They were then as a group placed into one of WRAS's outside pens with hedgehogs houses for the rest of the winter. It was decided that because this hedgehog had been in for this length of time during the winter, it was possible it may no longer have anywhere suitable to sleep during the cold weather so a decision was taken to keep him in care till the threat of snow subsided or a suitably long enough spell of warm weather occurred. At the beginning of April all the hedgehogs from this group were brought back to the Casualty Centre for an assessment and to check for injuries, infections, and disease especially ringworm, mange and ticks. They all had faecal analysis undertaken to ensure they were not carrying significant internal parasite burdens. They were all in good condition and weight. As this hedgehog was an adult when admitted it was taken back to the location where found and released in a neighbours garden and the original caller proofed his garden to ensure the hedgehogs and dog could not come into conflict in future. 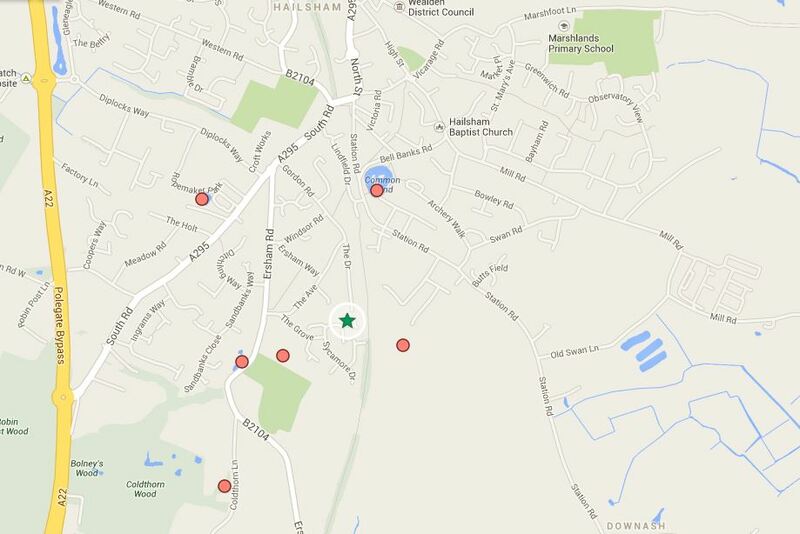 The neighbour was asked to keep an eye out for the hedgehog and will be given the opportunity to scan visiting hedgehogs later in the year to seek if any are ones which WRAS has released previously in the area. 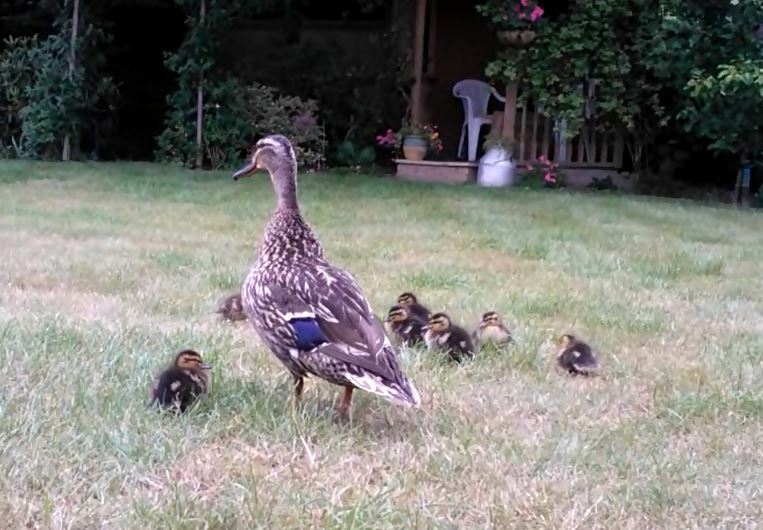 The caller explained that they had found a female mallard with about 13 babies walking through the cul-de-sac outside their house and out of concern for their safety managed to get them ushered into their garden for safety. They were concerned they may get run over. Two ambulances attended on site bring in four rescues from two different locations. The mallard and ducklings were alert and able to move around with out any signs of obvious injury. The female mallard's wings were level and balanced correctly on her body and showing no signs of injury or trauma. The duckling were counted and she was found to have 11 ducklings, none of which appeared unhealthy. The ducklings were approximately 2-4 days old. Counting the ducklings is important in case mum becomes frightened and flies off causing the ducklings to scatter, and ensures you find the right number. It is not uncommon for ducklings to be born in gardens as they are safer locations to nest than by ponds or waterways. However this leads to the mother needing to walk her youngsters to a nearby pond once the youngsters are several days old. Two ambulances attended on site to bring in four rescuers from two different locations. There was no immediate threat the mother or ducklings life, and no reason for them to need hospitalisation. Looking at local maps it was discovered that there were at least three different ponds which the female mallard was possibly heading towards. It was decided against trying to catch the mallard and ducklings and relocated them as the risk of moving them to the wrong pond was too great. 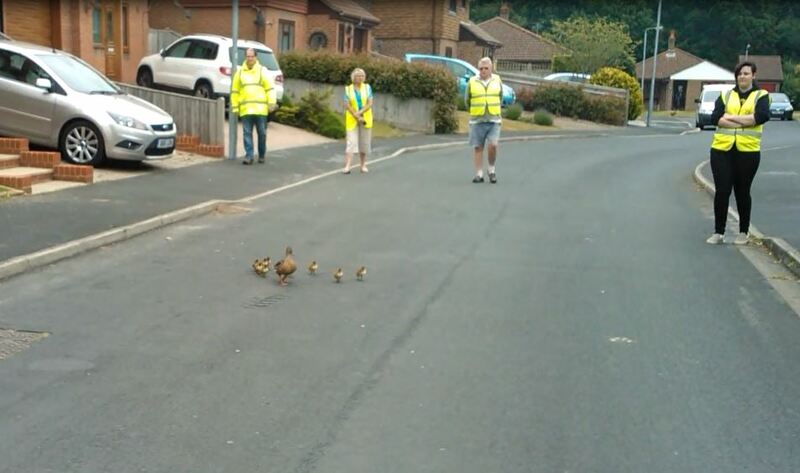 An Ambulance will be used to drive slowly in front of the mum and duckling but at a suitable distance not to discourage the mum and ducklings. Two rescuers will be assigned to monitor and stand on any drains to prevent ducklings from falling through. The final rescuer helped by a couple of local residents walked slowly behind the mum and ducklings again at a suitable distance as not to discourage or influence the direction in which she travels. 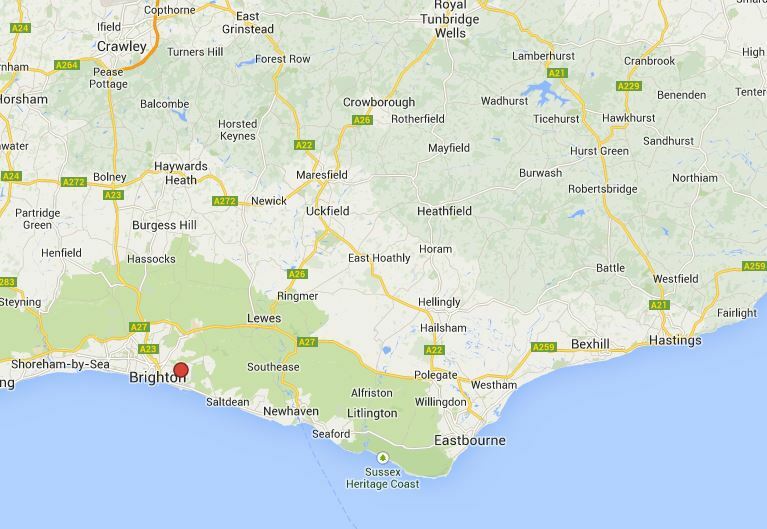 Sussex Police is informed of the situation and rescue. Rescuers opened the garden gate and mum and ducklings very quickly walked out the garden and started walking down the Close. An ambulance drove in front with hazard orange beacons flashing and stopping and speaking to motorists. The roads on the estate were luckily very quiet. Rescuers following from behind whilst rescuers monitored drains. The ducklings steadily walked following mum through the estate for about 20 minutes along Birch Way, across the green at The Grove, across the The Grove and into Gilbert Way. The mum then went under a chain link fence and hedge onto grounds of Ersham Farm and turned west in the direction of the main farm pond where they entered the water safely. The farm gave permission to enter their land to check on the mum and ducklings which were monitored for 30 minutes to check they were at their final destination. 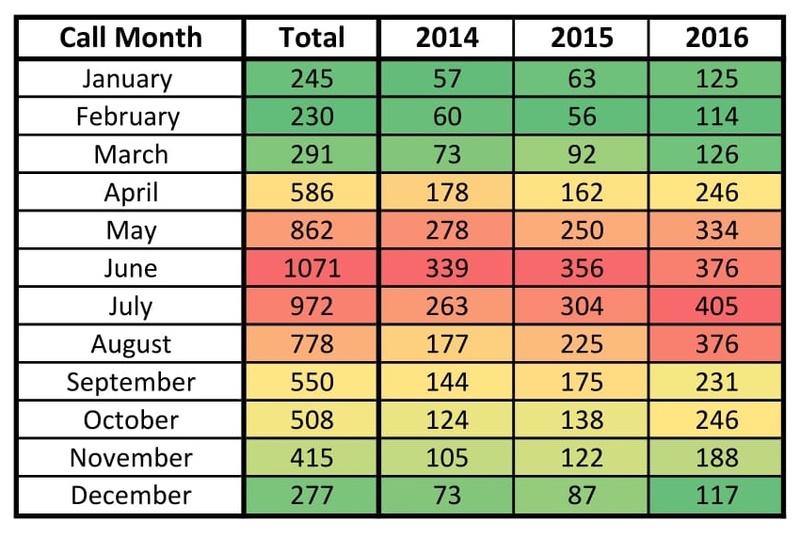 Traditionally April to the end of August has been WRAS's busiest time of year although in the 2014 the season started early and finished early, started late in 2015 and went well into September, and in 2016 it start mid April and through till October merging with a fairly busy Autumn hedgehog season, meaning WRAS completely missed its quiet Autumn period. The above table is not completely accurate as this is based on the initial call out assessment, which can change. However, categories like Cat, Dog or predator attacks are only used where the someone has actually witnessed that animal attacking the casualty, otherwise the injuries are recorded as one of the injury categories where the cause is not known. 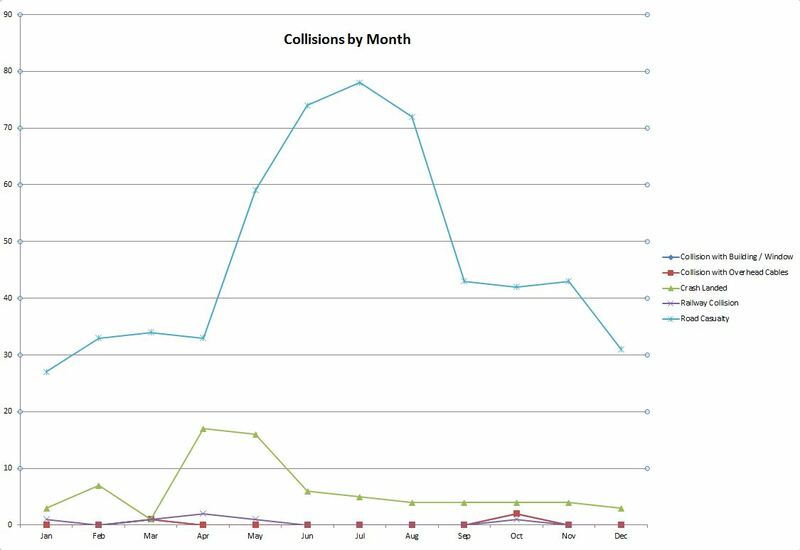 Human attacks, cat attacks, dog attacks, road casualties are suspected to be much higher than recorded here as they are often not witnessed but the injuries and location are consistent with those type of incidents. 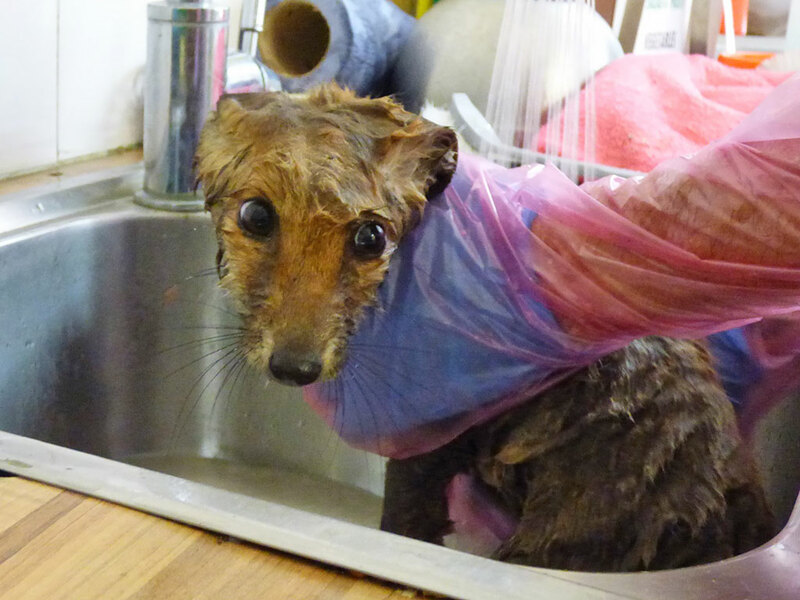 Mange cases are much higher than recorded above but often we are called out for a different reason. So a collapsed mange fox would be recorded as collapsed not mange. 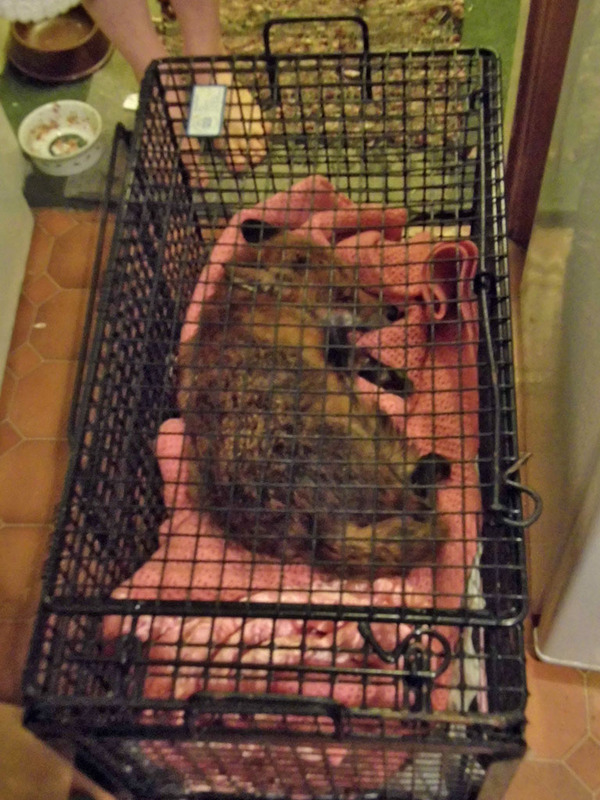 Or a fox trapped in a basement or compound wound be recorded as that rather as mange even if it had mange. This table records the incidents which we are called to. Above is a table of the top 100 towns and villages which East Sussex WRAS attends. 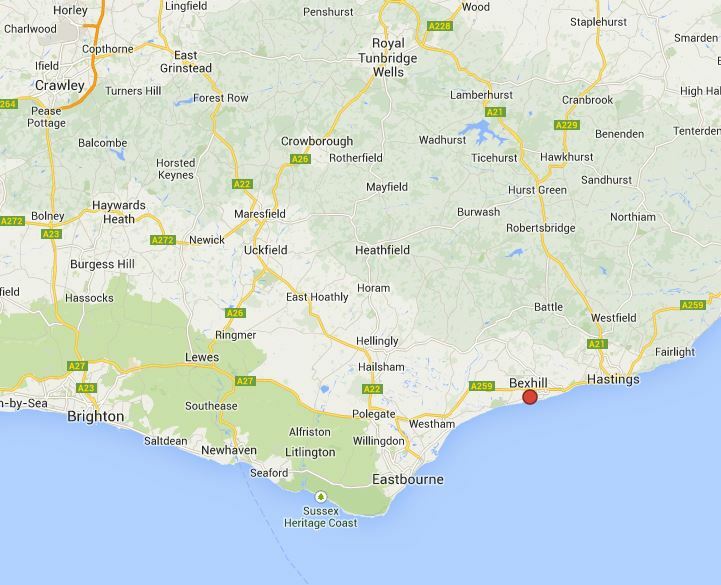 Eastbourne has always been the heart of our area and we are best known in that town than anywhere else hence the highest number of calls to that area. There are rescue organisations in Tunbridge Wells, Bexhill, Hastings and Brighton so often calls local to them are passed to them in the best interest of the casualties welfare. 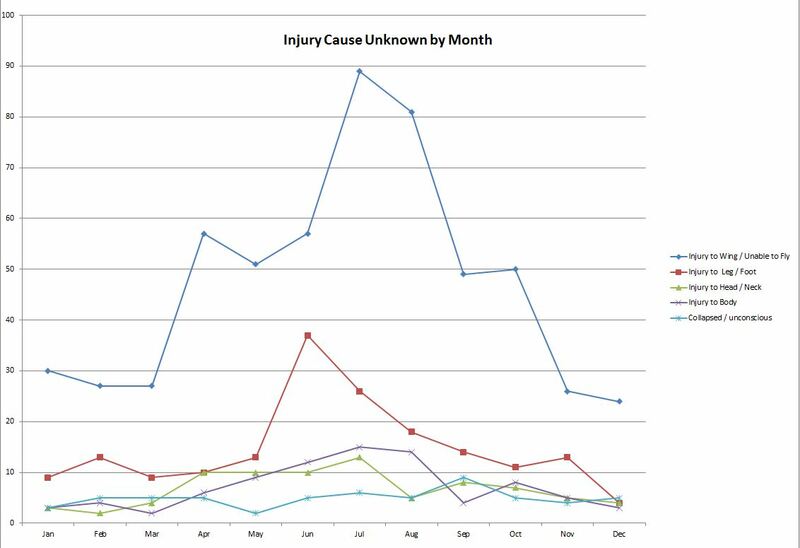 Over 80% of all casualties we deal with we attend out on site with a further 3% collected from veterinary centres. 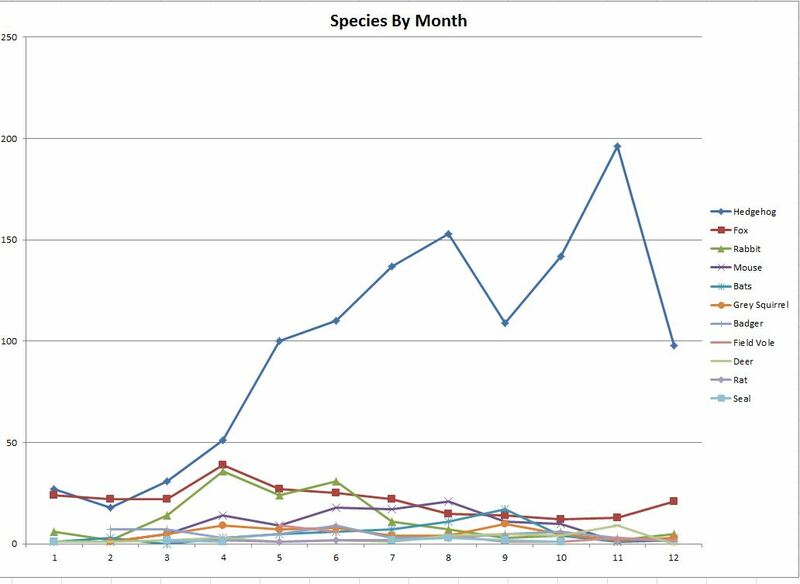 The above graph shows a selection of mammals we deal with. The Hedgehog is the most common mammal being dealt with way more than any other species. This is probably because they are resident in our towns and cities and are not able to run away as fast as other species like Foxes, therefore get themselves into trouble more. 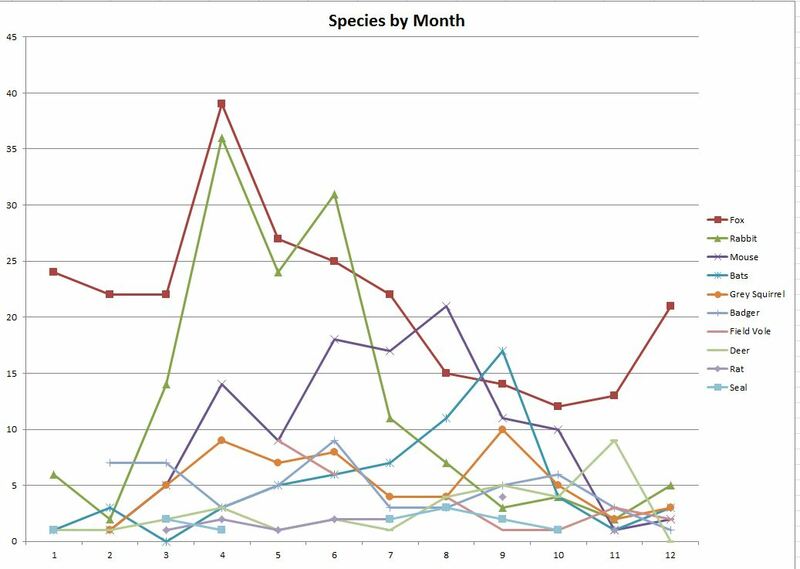 This is the same graph but with hedgehogs removed to make it clearer the peak times of the year when theses species are dealt with. 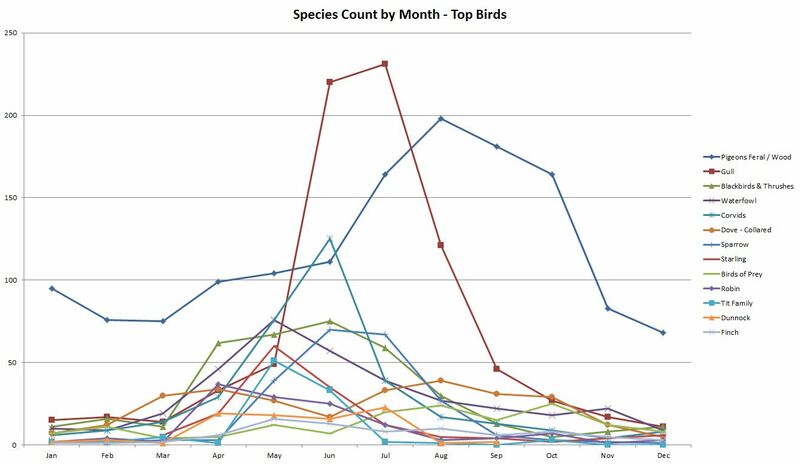 This is a graph of the top bird groups showing the rise in different species at different times of the year. 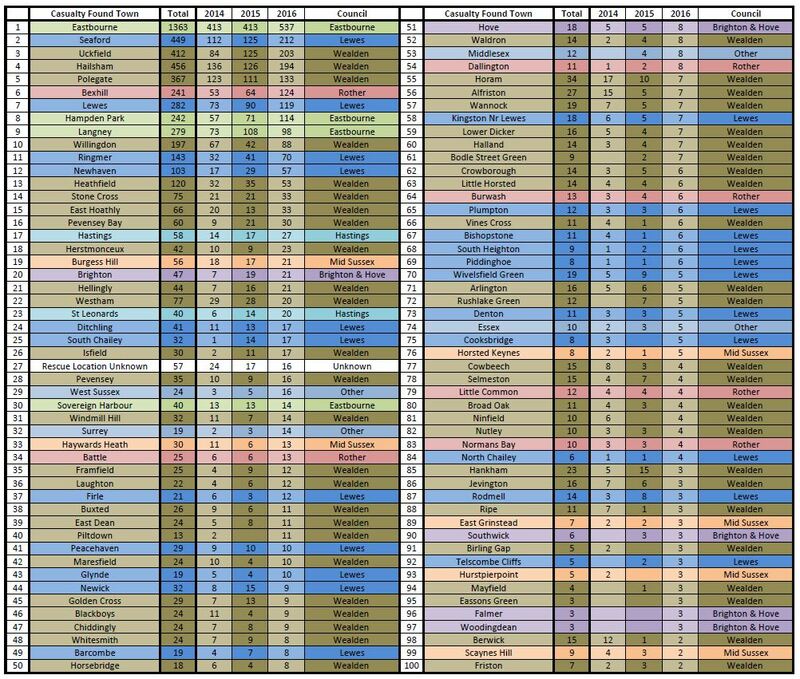 Below are a few graphs show different types of call-outs and the frequency throughout the year. From time to time WRAS runs training course, awareness days and presentations from its Casualty Centre at Whitesmith in East Sussex. These are normally advertised on WRAS's official facebook page, click on the events tab for a list of WRAS events and how to book.